We provide the first published estimates of the difficulty of guessing a human-chosen 4-digit PIN. We begin with two large sets of 4-digit sequences chosen outside banking for online passwords and smartphone unlock-codes. We use a regression model to identify a small number of dominant factors influencing user choice. 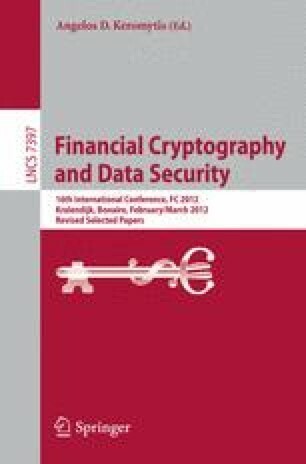 Using this model and a survey of over 1,100 banking customers, we estimate the distribution of banking PINs as well as the frequency of security-relevant behaviour such as sharing and reusing PINs. We find that guessing PINs based on the victims’ birthday, which nearly all users carry documentation of, will enable a competent thief to gain use of an ATM card once for every 11–18 stolen wallets, depending on whether banks prohibit weak PINs such as 1234. The lesson for cardholders is to never use one’s date of birth as a PIN. The lesson for card-issuing banks is to implement a denied PIN list, which several large banks still fail to do. However, blacklists cannot effectively mitigate guessing given a known birth date, suggesting banks should move away from customer-chosen banking PINs in the long term.